Luxury Hotels Europe by teNeues at Translate This Website. Hurry! Limited time offer. Offer valid only while supplies last. This is the first volume of a series of four on hotels that offer the best in style, service and design - on the most luxurious hotels in the world. This is the first volume of a series of four on hotels that offer the best in style, service and design - on the most luxurious hotels in the world. Whether traditional or modern, luxury need not be defined in terms of richly decorated formality. 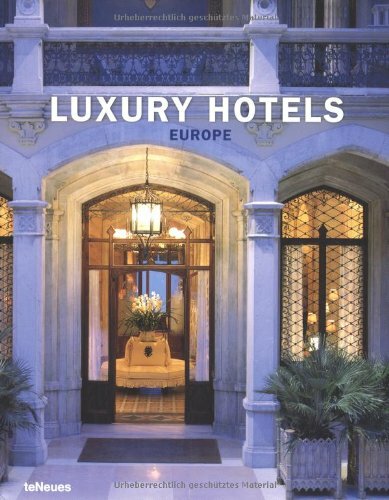 The European hotels featured in these pages, both the well-established names and the hidden gems, have been chosen for their distinctive architecture and the tastefulness and simplicity of their interior design. It includes a separate section on business and holiday hotels.